Beautiful contemporary waterfront home on Merry Lake offering 3 bedrooms, 2 full baths, open floor plan, family room & dining area, facing the waterside. Vaulted ceilings. 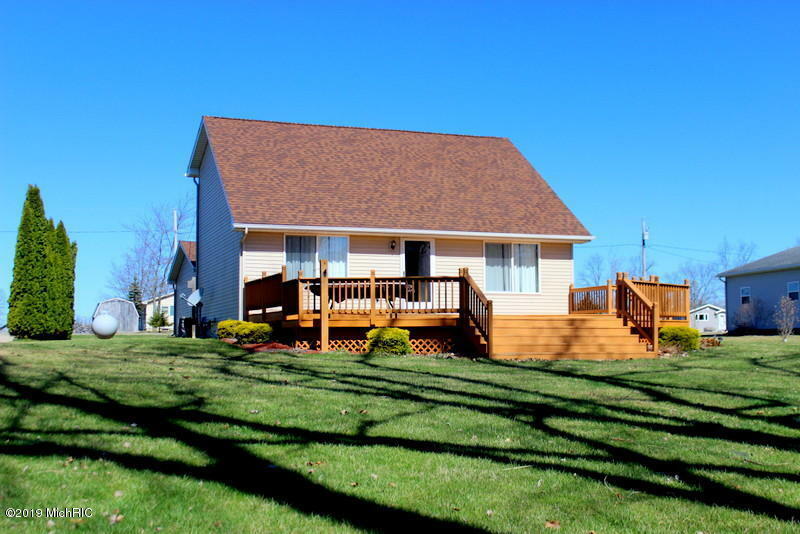 24 x 31 deck & 90' of water frontage makes this home very appealing. Dock included. 2 car garage, paved driveway. Newer roof 2016, furnace 2010, all appliances included.